right in the heart of Long Island's Gold Coast - its distinctive name. boutiques, a library, fire house and Long Island Rail Road Station. 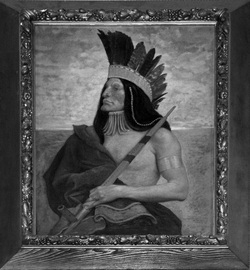 dubbed Matinecock after the Indian tribe. Today, when most residents talk of the "Locust Valley" area, they include, at least, the surrounding incorporated villages of Lattingtown, Matinecock and Mill Neck - a location encompassing two exclusive private golf clubs, the Creek (founded in Lattingtown in 1923 by J. Pierpont Morgan Jr.) and the Piping Rock in Matinecock, historic landmarks and celebrity homes. Most of the early settlers like Captain John Underhill were English. By 1730, they had rechristened their new home Buckram - possibly after a Norfolk, England town called Buckenham where many originated. More than a century later, in 1856, nature lovers counting the locust trees punctuating the landscape, renamed it Locust Valley. In 1870, the first railroad train reached Locust Valley, a catalyst for change. By the early 20th century, the area was dotted with beautiful estates; and later horse farms, polo fields and private clubs. Publishing tycoon Frank Doubleday, credited with founding the current Locust Valley Library in 1909, with his wife Neltje, built a lavish home in Mill Neck and was actively involved in community life. Industrialist Myron Taylor, president of U.S. Steel, whom FDR made this country's first Ambassador to the Vatican, created a mansion on site of his mother's old home. Later in the century, it was at a nephews' home in Locust Valley that Madame Chain Kai-shek spent the last years of her life. Landmarks of the past include two privately owned homes dating from about 1698 - the Joseph Weeks Jr. and William Hawxhurst houses on Oyster Bay Road. The Matinecock Friends Meeting House at Piping Rock Road and Duck Pond Roads - now in Glen Cove, but historically part of Locust Valley - was built by Quakers in 1725, but destroyed by fire in 1985. Rebuilt the next year, it is on the National Register of Historic Places. There are two nationally known private schools in Locust Valley - the Friends Academy situated on 65 acres across from the Quaker meeting house and the Portledge School on 62 acres of what was the former Coffin family estate.